Guide To Install TWRP and Root Asus Zenfone Max Pro M1: If you are new to rooting, then you should know that Unlocking bootloader of an android device is the first and most important step in android rooting process. First users have to unlock the bootloader, then they can install TWRP recovery via Commands. Once TWRP is installed, root can be gained by flashing the supersu or magisk via TWRP. Asus has finally come up with an awesome device after a long time. This time they have done a great job. The latest Asus Zenfone Max Pro M1 comes with a stock skin running Android Oreo instead of Asus’s ZenUI. The device has become very popular among the buyers as well as the developer. Last week the device’s bootloader unlock guide was posted on Xda. 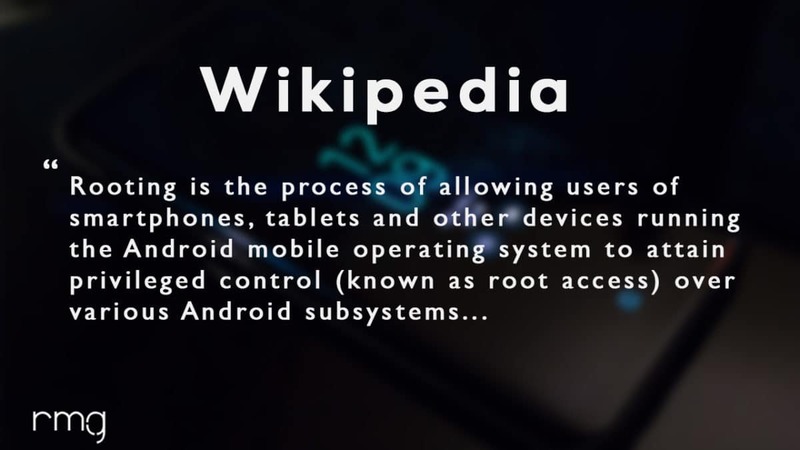 Unlocking the bootloader on Android plays the most important role in rooting. 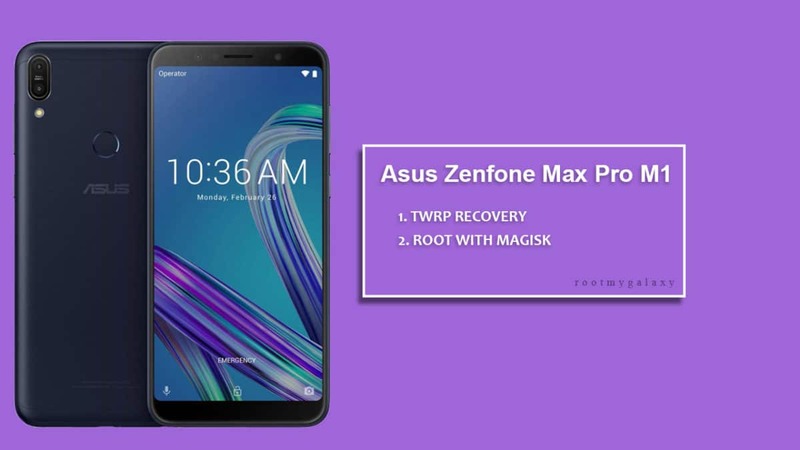 Now the device has received a working TWRP recovery file, which means users can gain root access on their Asus Zenfone Max Pro M1 by flashing SuperSu or Magisk via TWRP recovery. This is really a great news for power users like us. If you are interested, then follow the guide to Install TWRP and Root Asus Zenfone Max Pro M1. Asus ZenFone Max Pro M1 comes with a 5.99-inch touchscreen display with a resolution of 1080 pixels by 2160 pixels. It is powered by octa-core processor coupled with 3GB of RAM. It has 32GB of internal storage (expandable up to 2000GB via a microSD card). The Asus ZenFone Max Pro M1 sports a 13-megapixel primary and an 8-megapixel front camera on the rear and front side respectively. The Asus ZenFone Max Pro M1 runs Android 8.1 Oreo out of the box and houses a 5000mAh battery. 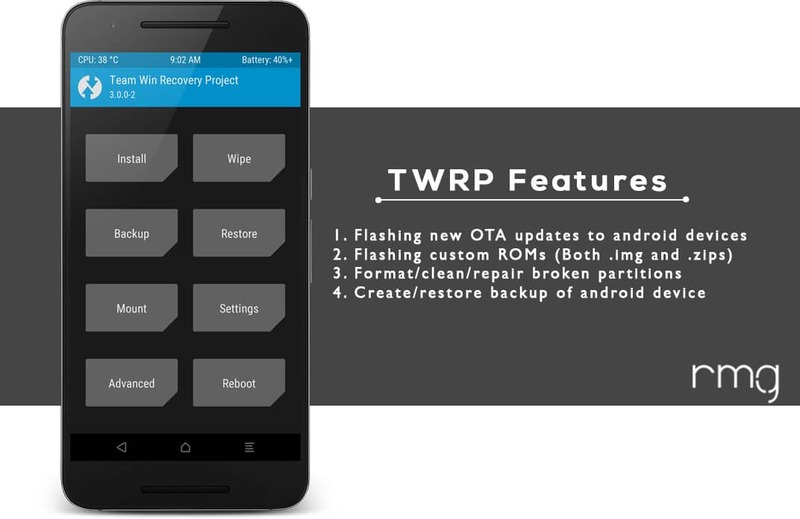 TWRP is a custom recovery for Android. 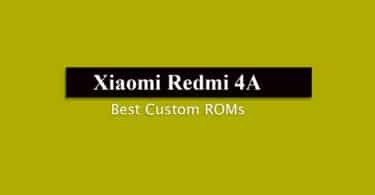 It is the most popular Android custom recovery. 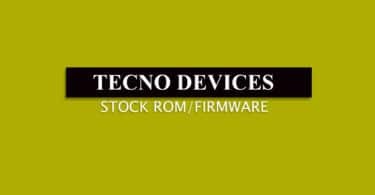 It replaces the stock recovery On Android devices. It comes with many extra features compared to the stock recovery. It needs the bootloader to be unlocked. If your bootloader is locked then you have to unlock it. The guide is given below. First of all, the user has to unlock the bootloader of the device. After that he/she can install TWRP recovery on Asus Zenfone Max Pro M1. We have done a dedicated post bootloader unlocking of Asus Zenfone Max Pro M1. Follow the guide linked below. Once transferred, follow this guide from below to install TWRP recovery on your Asus Zenfone Max Pro M1. Download the latest ‘decrypt.zip‘ and ‘Magisk-v16.4.zip‘ files. Move these two files to your device’s internal memory. | Note: First, From TWRP menu tap ‘Install’ button and select the ‘decrypt.zip’ file. Then select ‘Add more Zips’ button and choose the ‘Magisk-v16.4.zip’ file.Then swipe to flash the files. That’s it. Your Cloudfone Thrill Plus has been rooted successfully. Keep reading roomygalaxy for more news and updates.